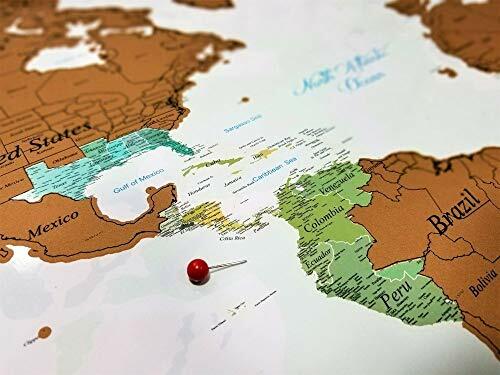 SCRATCH MAP: The Olahs Pandora world map has brightly colored states and countries under gold foil. 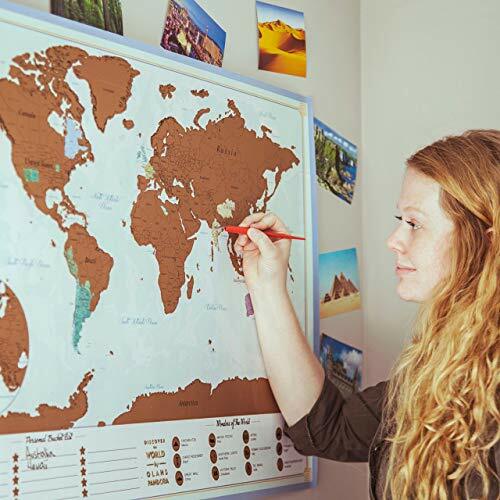 ADVENTURE TRACKER: Mark countries visited and places traveled in the USA and beyond on our wall map. 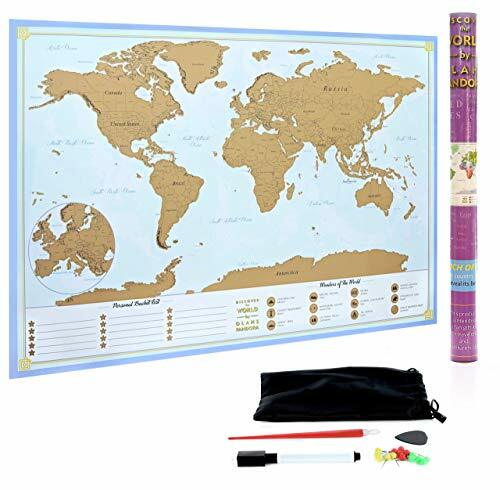 EXTRA LARGE: The scratchable travel map measures 36in x 24in and looks great with or without a frame. 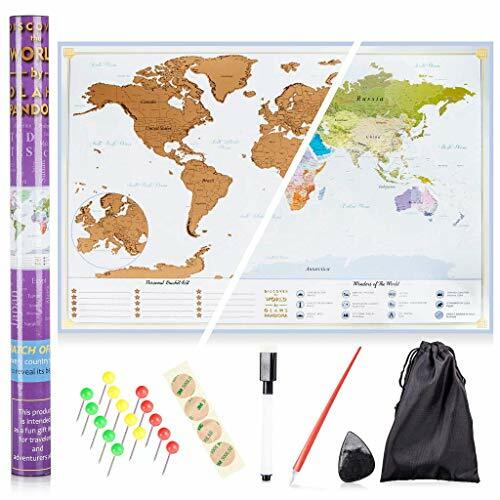 PUSH PIN PACK: Our scratch world map comes with push pins, scratcher tools and a dry erase marker. 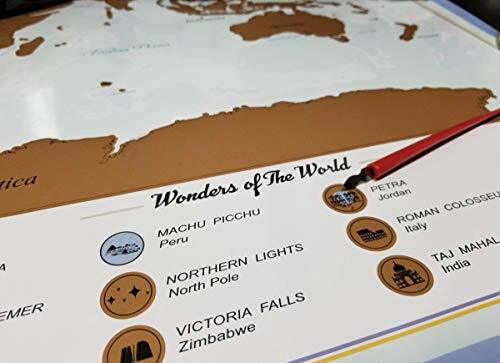 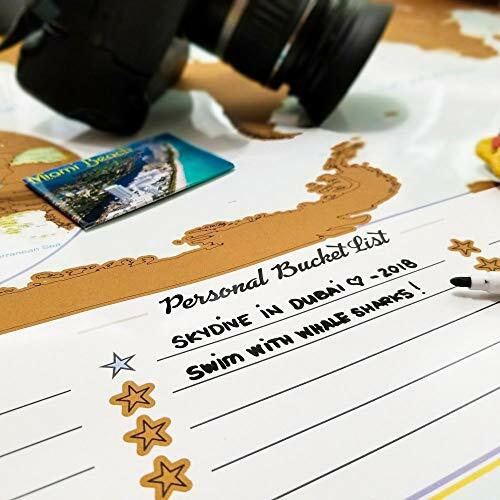 BUCKET LIST: Write your future traveling plans at the bottom of our travel map scratch off poster.